EBitcoin Partners With Proxycard! The Best Of Both Worlds Or Just Another Pump & Dump? Greetings Steemians! Dropping off an all new blog post today, as I've been researching some other crypto currencies to invest in and non other than EBitcoin caught my attention. 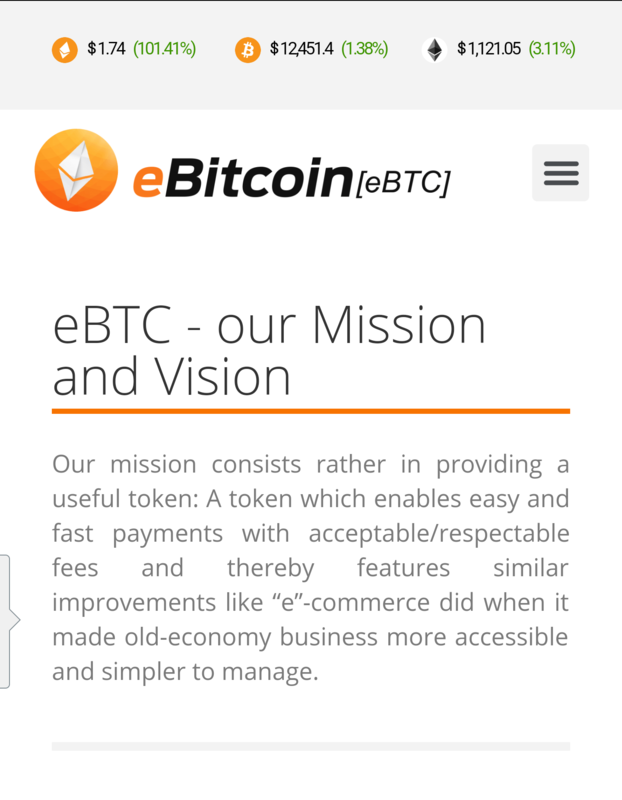 Well What Is EBitcoin [ EBTC ] you may ask?!?! 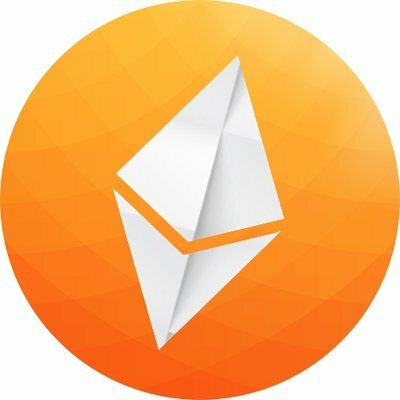 Sounds like a bit of a best of both worlds, when you mix Bitcoins track record with a boost of speed & incorporation of Ethereums Smart Contracts. As of the time of creating this post https://www.ebitcoin.org/ is a full breakdown of where you can educate yourself more on the subject. 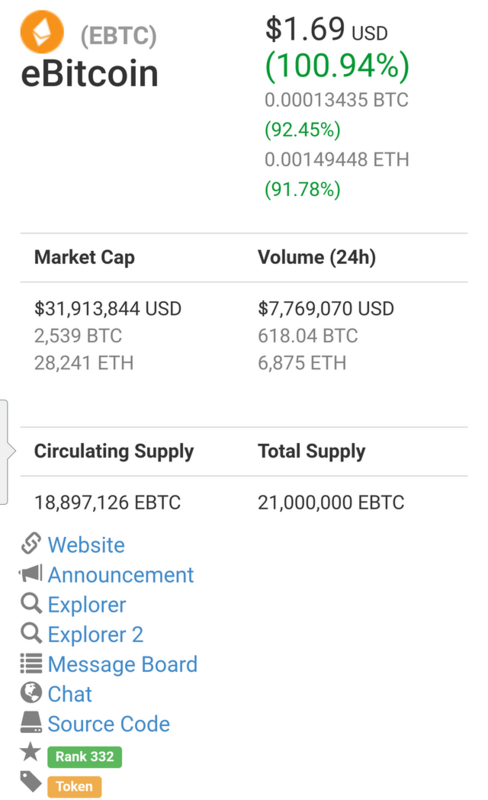 With a total supply of 21,000,000 the value of the coin selling for $1.69 could very well stand the test of time.